Caledonia has a population of 1,527. 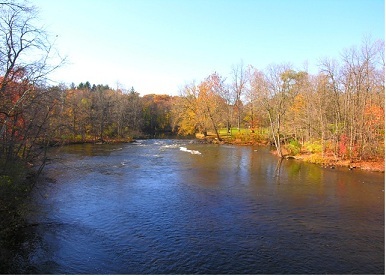 Caledonia is located in southeastern Kent County,approximately 20-25 miles south of Grand Rapids. It used to be primarily a farming community, but Caledonia has now become linked with Grand Rapids as a commuter city. At the same time, it has also retained its own uniqueness and economic growth. Situated in a hilly area on beautiful Emmons Lake, this is an ideal place to live, with a perfect balance between country rural and modern city.